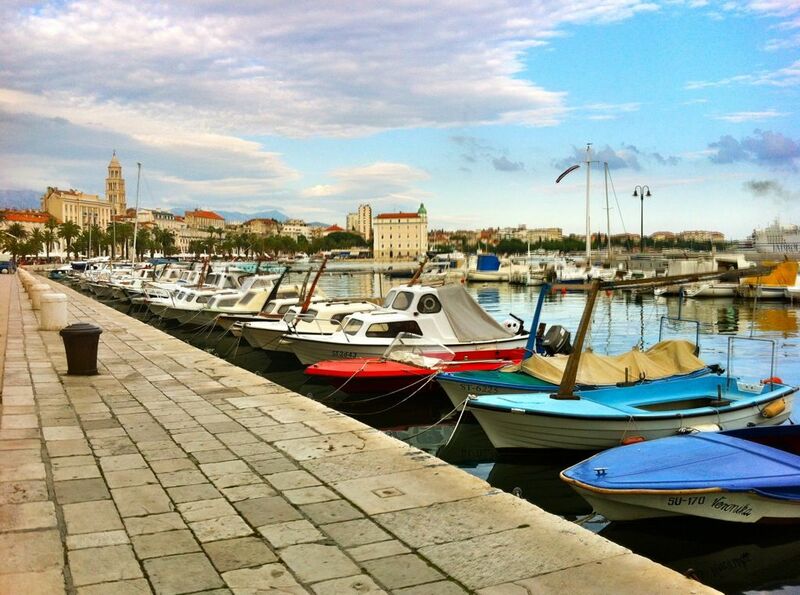 Split is Croatia's 2nd largest city and also the largest coastal city in the Dalmatian Coast facing the Adriatic Sea. We dropped by for 2 nights while journeying along the coast (read about it here). 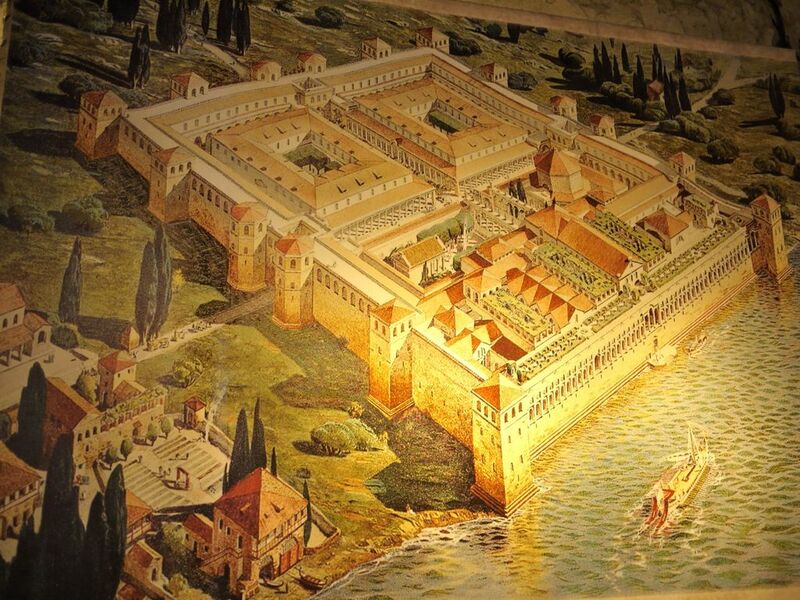 The most famous sight would be the Diocletian's Palace, a retirement home for the Roman Emperor Diocletian in the Middle Ages. 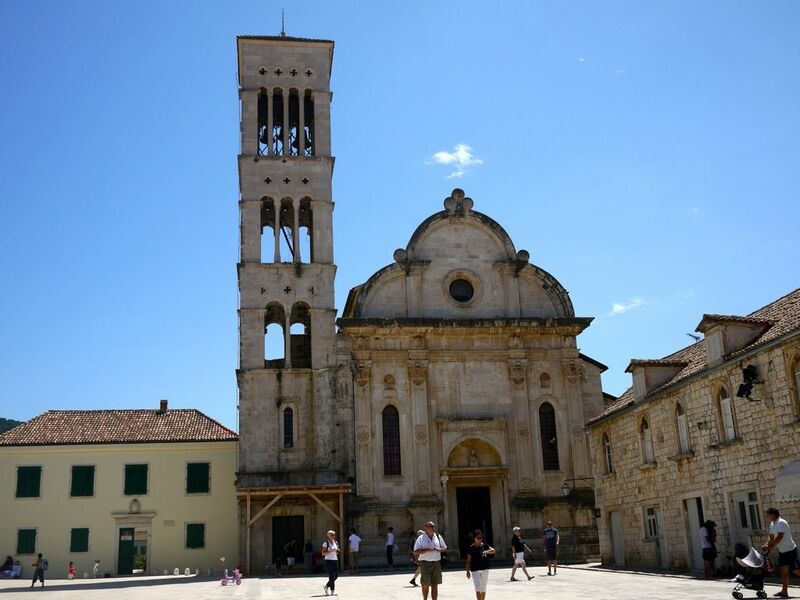 Since then, it has been transformed into a museum/entertainment hub/bars and pubs catering to the 3000odd living within the compound, as well as the rest of the 166k people in Split. Spend a little time wandering around the palace. We explored the underground museum but it was nothing very impressive, just big empty cavernous stone walled spaces that are damp and cool. Within the boundaries, there are shops that sell knick knacks, souvenirs, jewelry and the sorts. They are really better known for their pub crawls that cater to the many hostels located within. 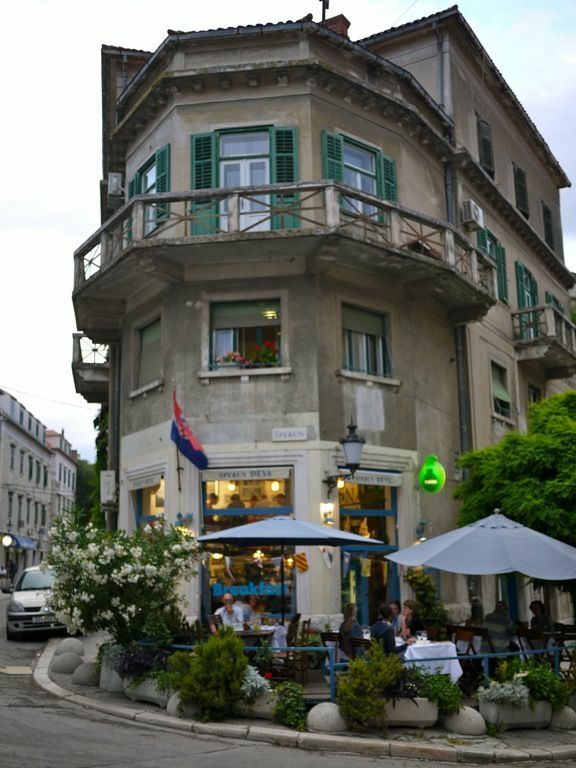 Or hang out at the Dioklecijanova (Cardo Maximus). When night falls, you can sit on the cushions at the steps, get a drink and chill out to live music. I believe there is some exotic Egyption themed restaurant nearby as well. 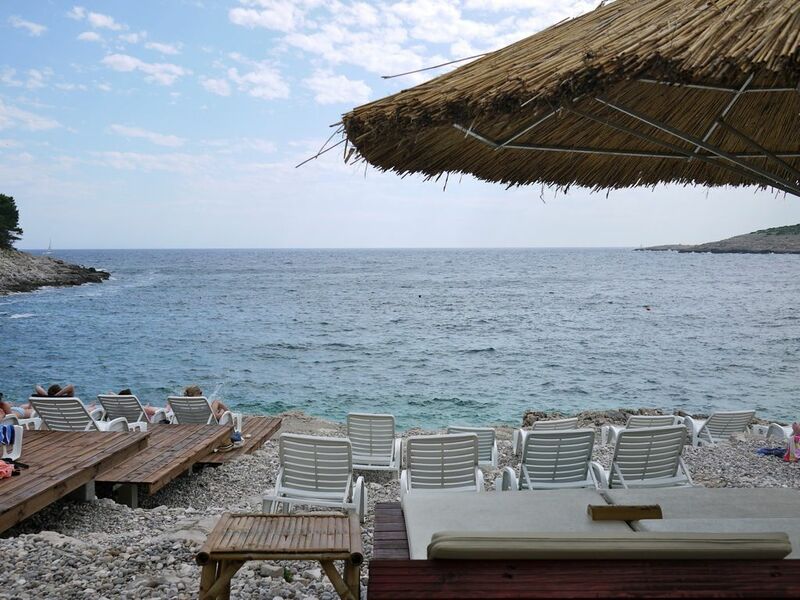 Take a side trip to the many different islands around the area where you can enjoy the beaches privately and intimately ;) The more popular ones are Hvar and Brac. 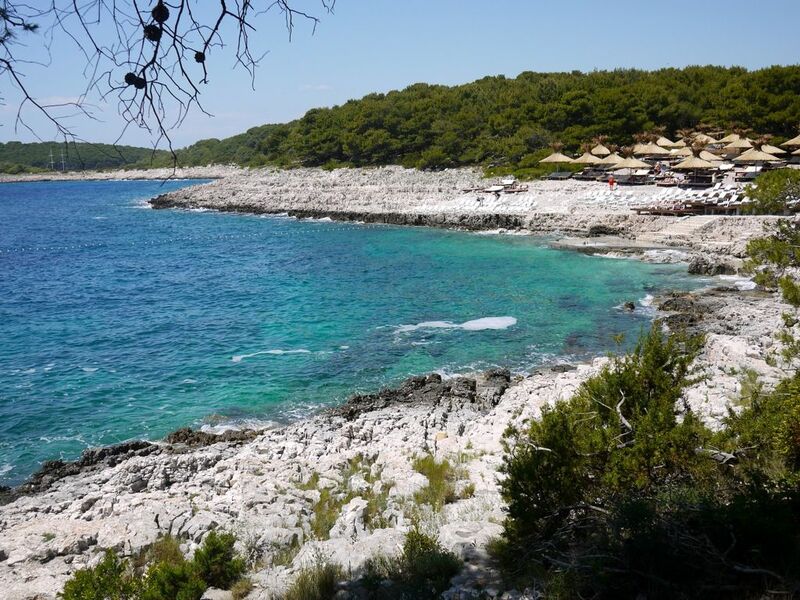 We took a ferry to Stari Grad and from there a bus to Hvar. There's nothing much at the city area so off we hopped onto the little charter to brought us to the beaches. 1st stop Jerolim. Love the clear blue seas which are pretty cold even in June. Baked for a while with the naturalists and then to Stipanska next. Our accommodation at Split Inn Apartments was very confortable. 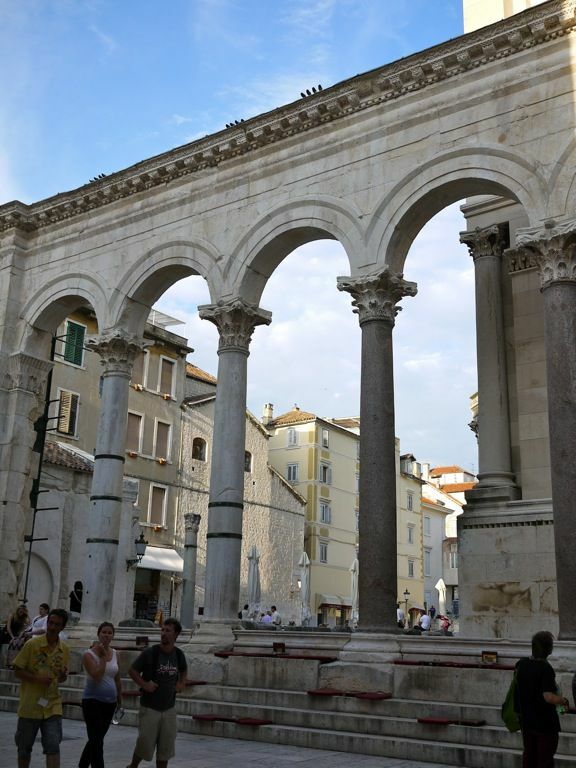 The centrally located office was easy to find and the person in charge led us to our apartment (on foot) which is only a couple of minutes away from the Diocletian Palace. 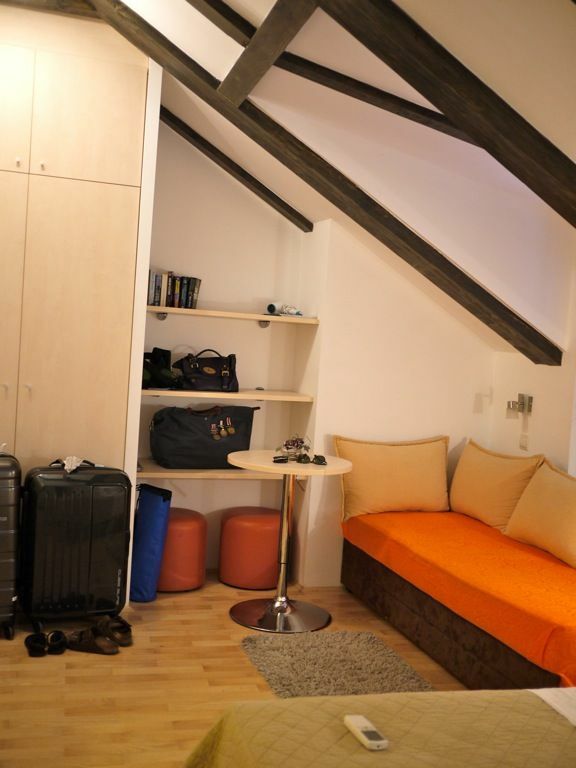 Love the loft style apartment which is more than big enough for the 2 of us. It could probably accommodate another person on the couch. 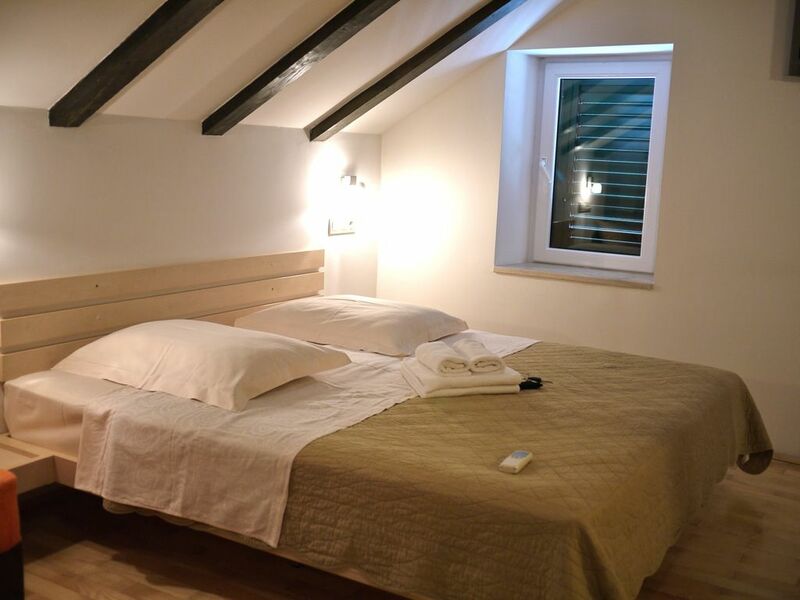 We paid about 70 Euros a night. The stone walls in our apartment prevented us from getting much of a signal but the wi-fi strength was quite strong on the first floor patio. 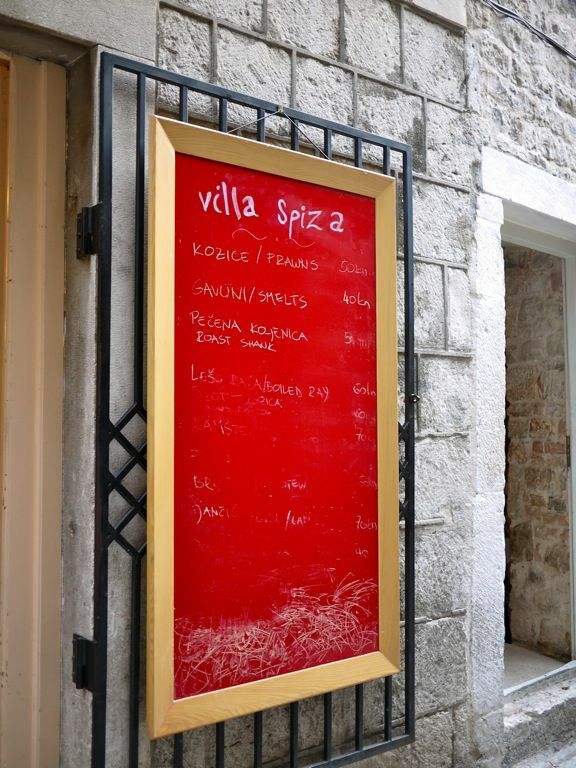 My last meal would have to come from Villa Spiza in Split. This is undoubtedly the best meal in my life (so far) and we chanced upon it after S heard some guide mentioning it on the streets. There isn't a menu here. The chef simply goes to the market and picks out whatever that is available and fresh. The set up is essentially a home kitchen with 1 cook who is also the boss. We perch ourselved on the wooden bar chairs and waited eagerly for the food to be prepared. Menu for the night, shrimps, steak and squid ink risotto. 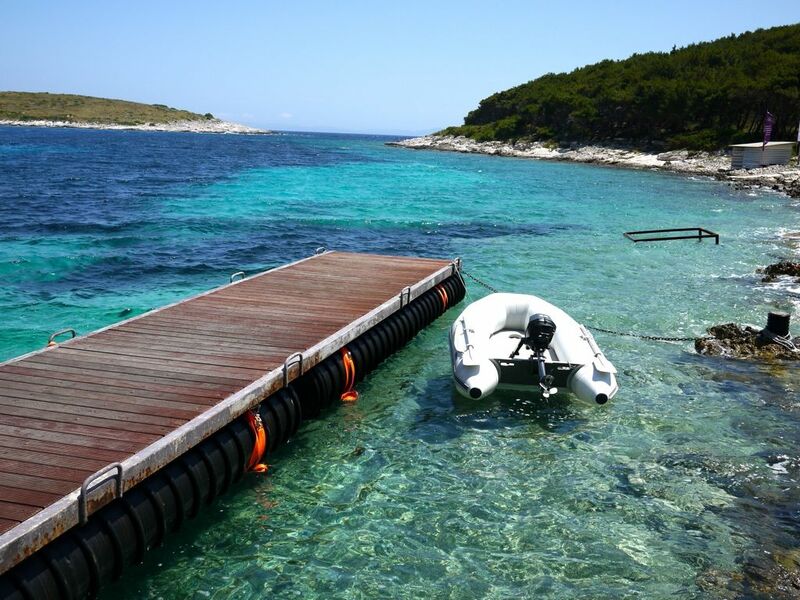 Quite our standard fare in Croatia but we didn't know the surprise that lies in store. 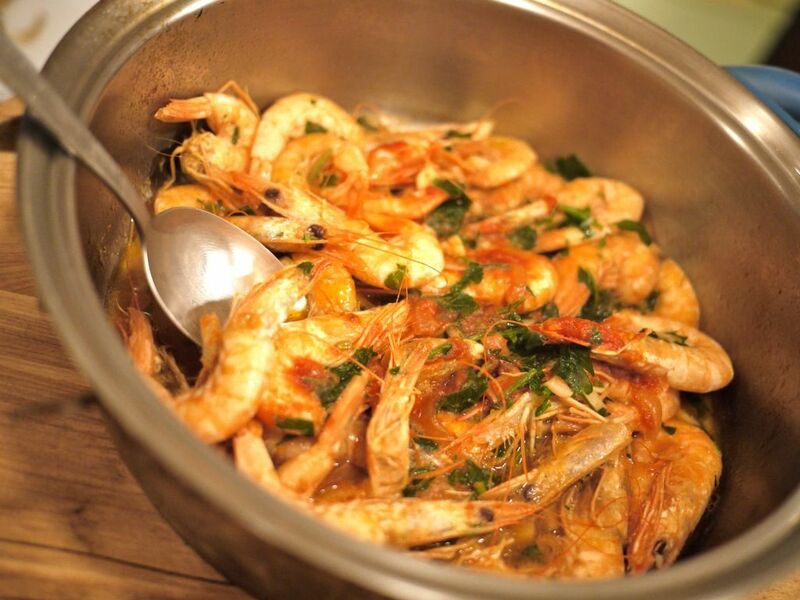 The simply done shrimps in garlic, parsley, butter and perhaps some white wine. So much joy just eating with my fingers and sucking the luscious roe from the heads. Da yums. 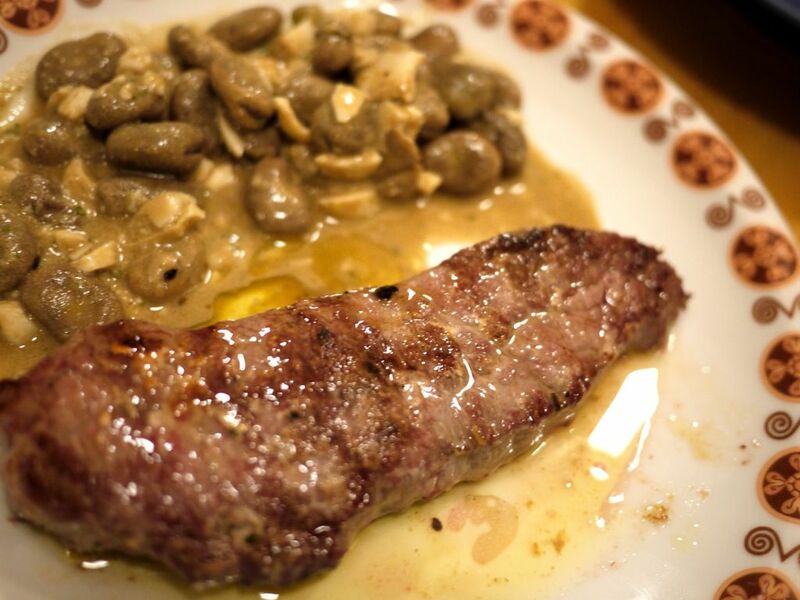 Lovely steak with a creamy beans and mushroom side. 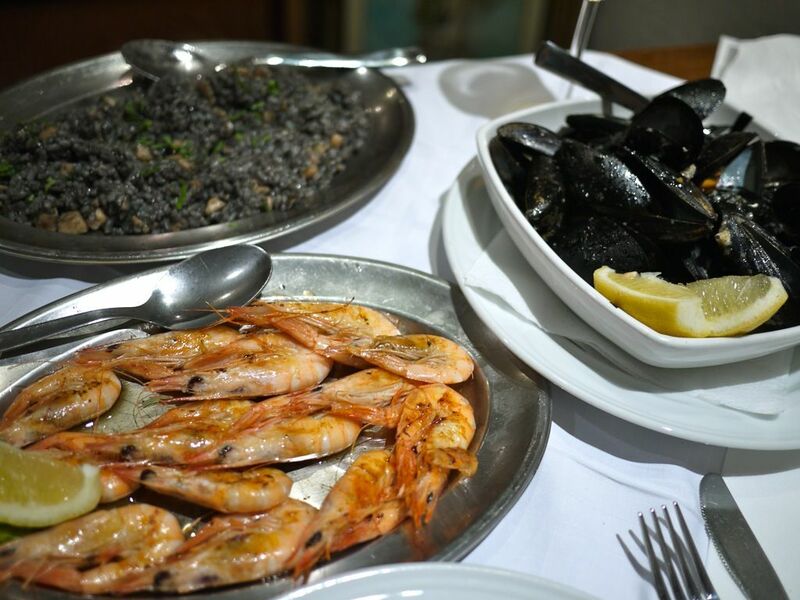 You cannot miss the squid ink risotto that is so flavorful and full of squid freshness. I was standing on the bottom rung of the stool and he's still bigger than me! The food was so good we finished every single morsel as you can tell. MUST TRY THIS! 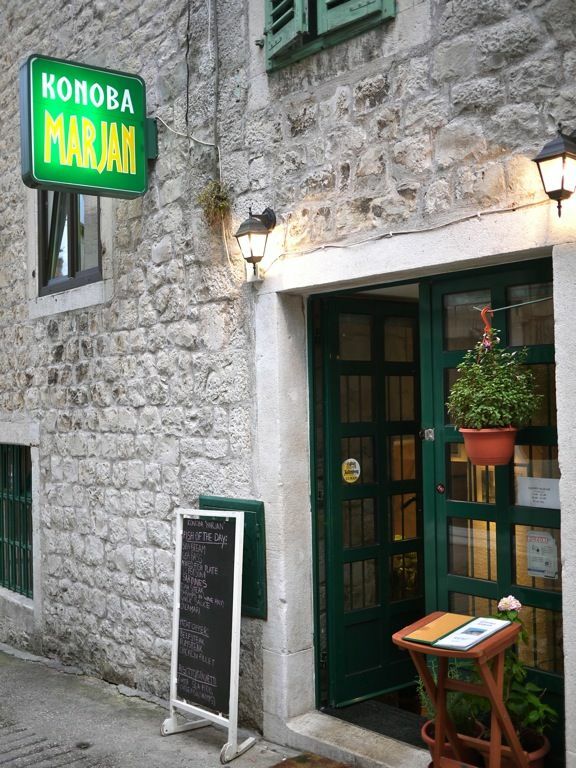 Konoba Marjan was recommended by the manager at Split Inn Apartments. Apparently you need a reservation to get a table here. We went early and were lucky to get a table much later. Perhaps our taste buds have been spoilt by Villa Spiza the previous night, the food was kinda bland and not that tasty in comparison. It's regular but just not WOW? I was slapping myself for not going back to Villa Spiza. There are a couple more interesting restaurants around the area we lived in. Do check out Sperun. We had brekkie at Sperun Deva which is just opposite. A quick meal before driving off to Dubrovnik. 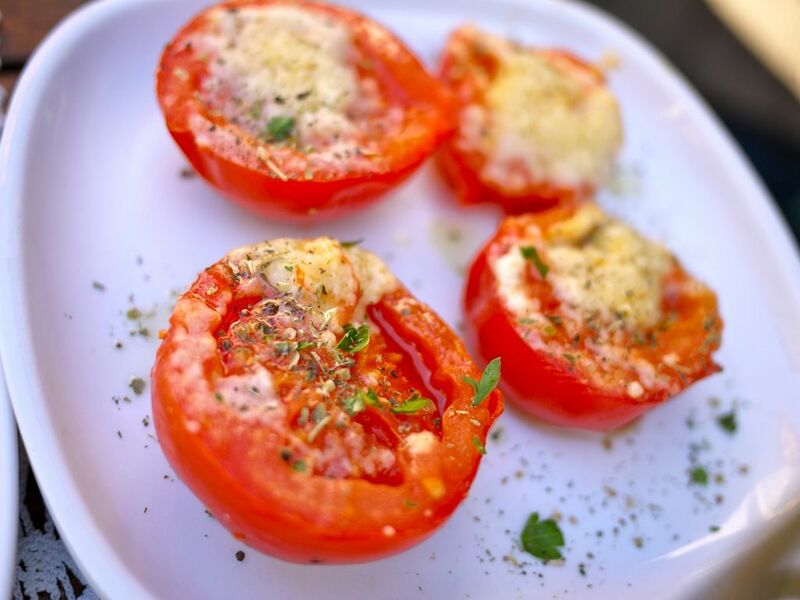 Roasted Tomatoes (only organic here). Some Parma Ham, smoked salmon, omelette and anchovies (because S wanted to try). So yea.. this kinda concludes our Split visit. It's pretty but it's really quite a tourist spot i feel but i'm glad to have found that hidden gem in the Diocletian Palace. 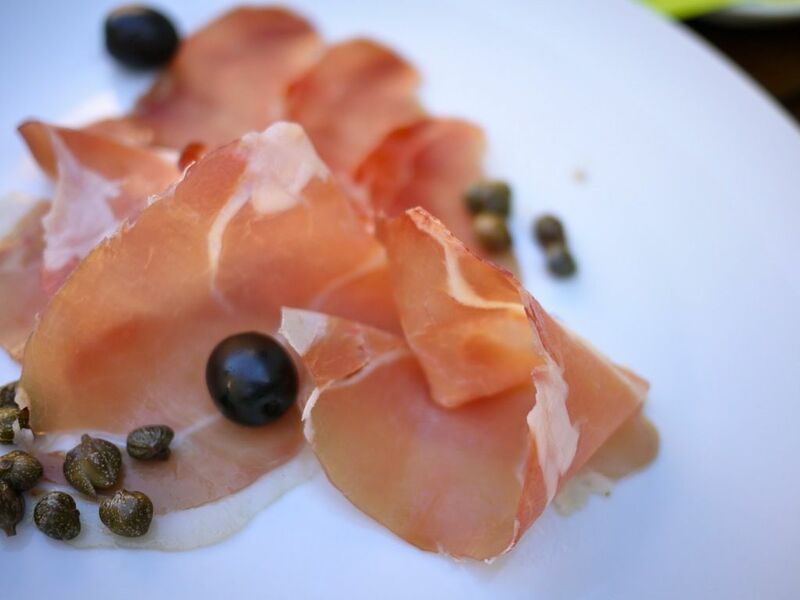 Even if you're not gonna stay for the night, you gotta at least have a meal at Villa Spiza. LOVE IT. My name is Amy and I'm with Dwellable. I was looking for fun and authentic posts about Split to share on our travel site, when I came across your blog...If you're open to it, shoot me an email at amy(at)dwellable(dot)com.